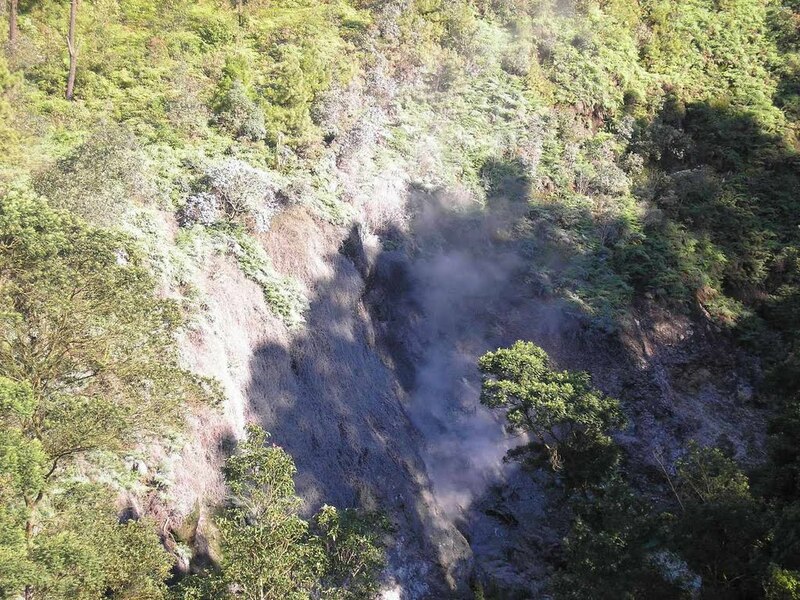 UPDATE AUGUST 2016: It is now prohibited for hikers to climb from Gedong Songo and the trail is overgrown. 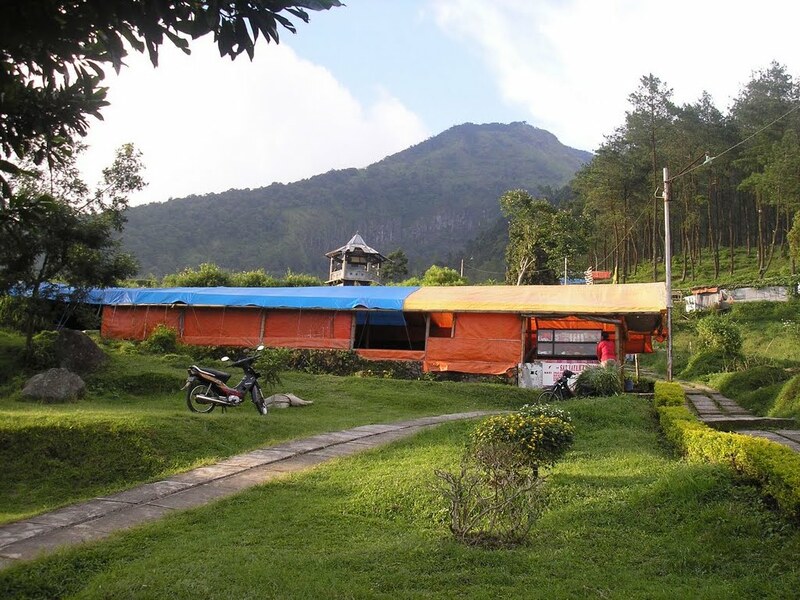 The main route is from Mawar where there is a basecamp. The Mawar trail is clearly-marked and there is a warung selling snacks about one hour up the trail (of course this may not always be open so always take your own food and drinks). 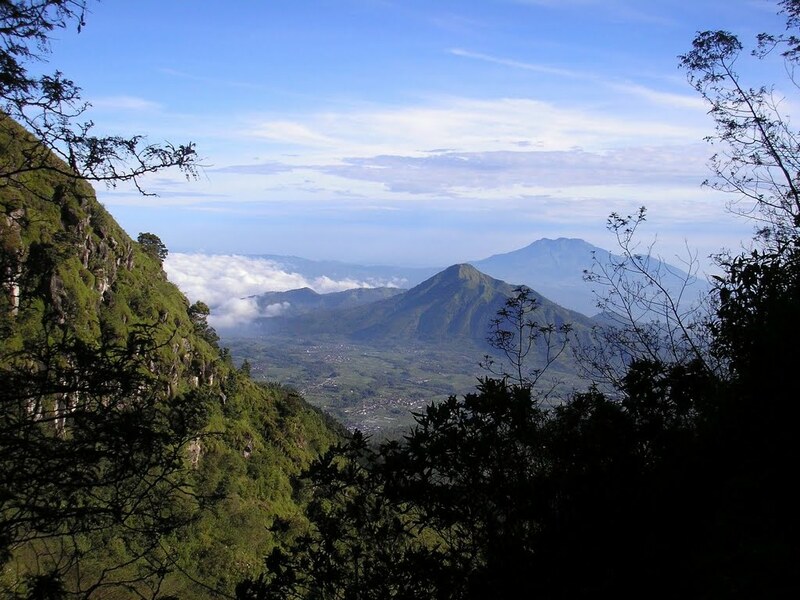 Just an hour by car from the city of Semarang is Mount Ungaran. 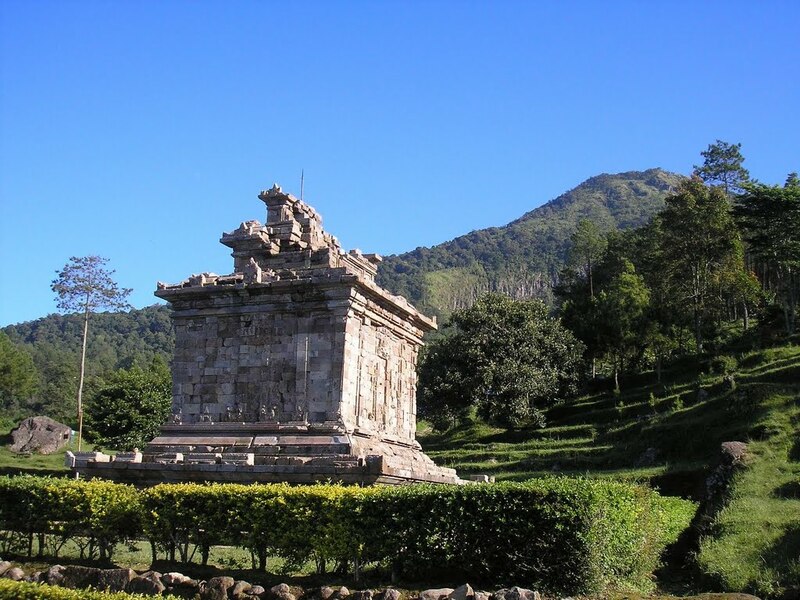 Many people visit the southern slopes of this mountain, not because of the mountain itself but because of the impressive ancient Gedong Songo temple monuments which are scattered across the hillside. 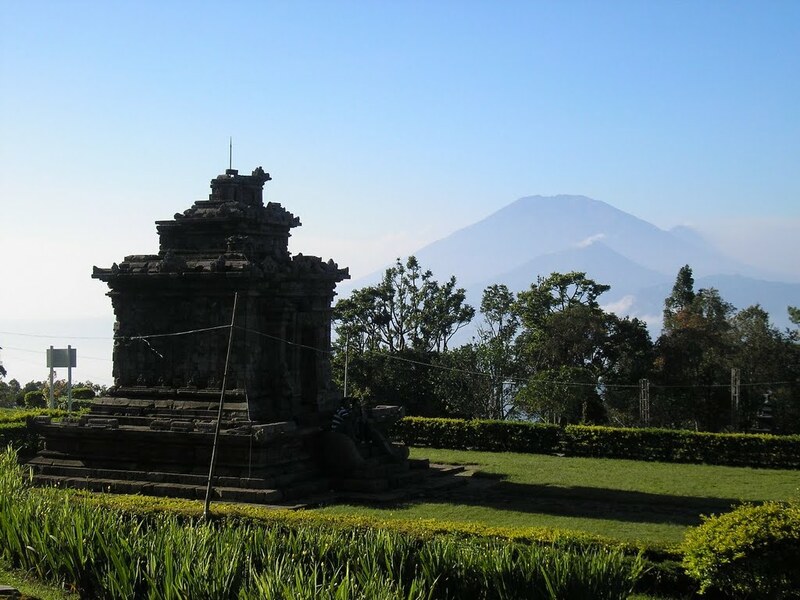 The name ‘gedong songo’ literally means nine buildings, and these Hindu relics date from approximately 900AD and were ‘discovered’ in the nineteenth century by Stamford Raffles and later restored. 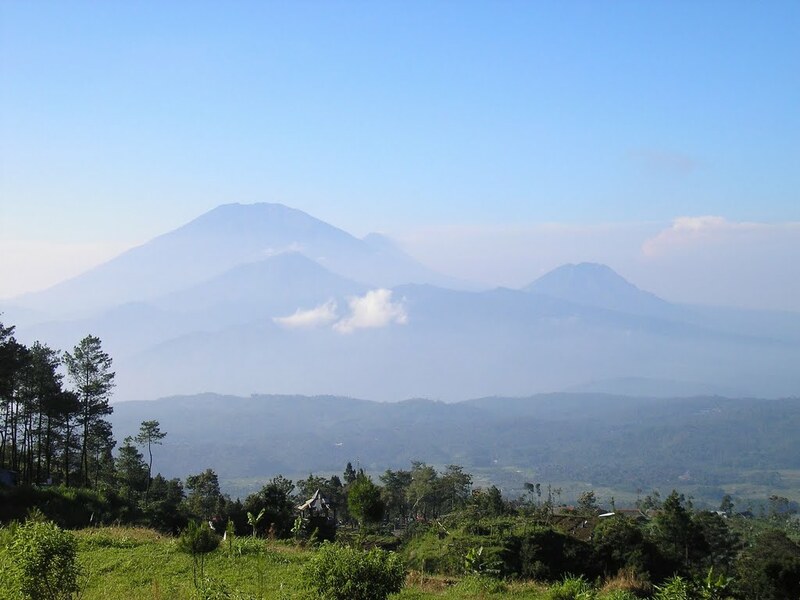 This area is a popular weekend retreat for those living in Semarang and so there is an abundance of accommodation in the nearby town of Bandungan. 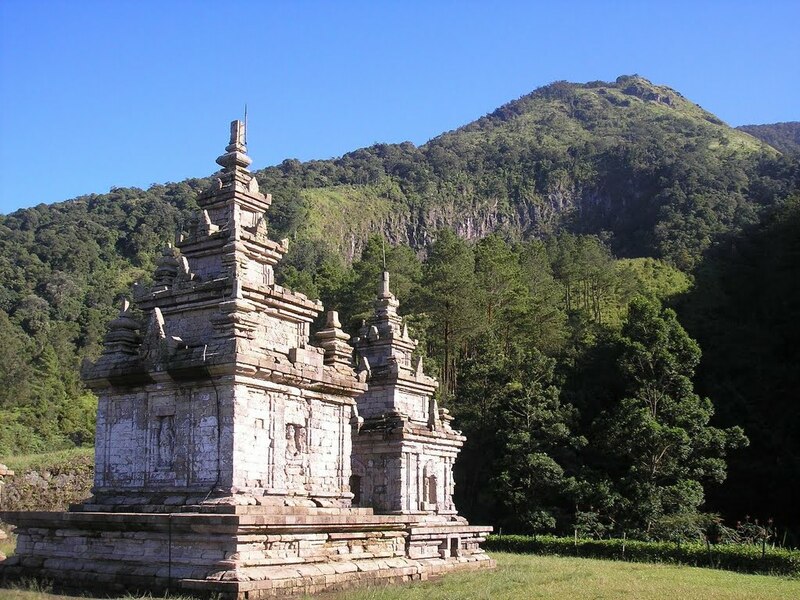 The Gedong Songo monument complex is open daily from 6.15am until 17.15pm and there is a small charge for visitors. 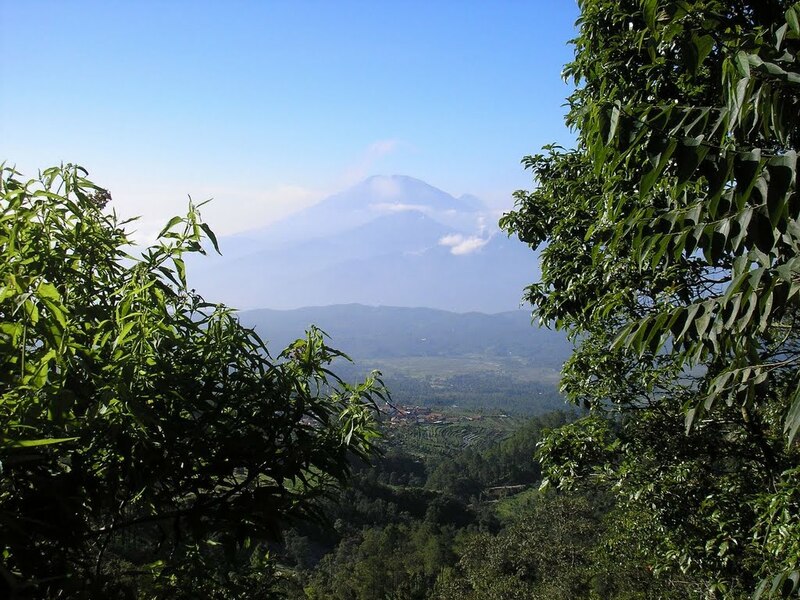 The temple complex lies at 1,200m which means you get a good head start on your hike and that the views are simply stunning – particularly in the early morning you can see Sumbing, Sindoro, Merbabu and the smoking cone of Merapi lurking behind Merbabu. 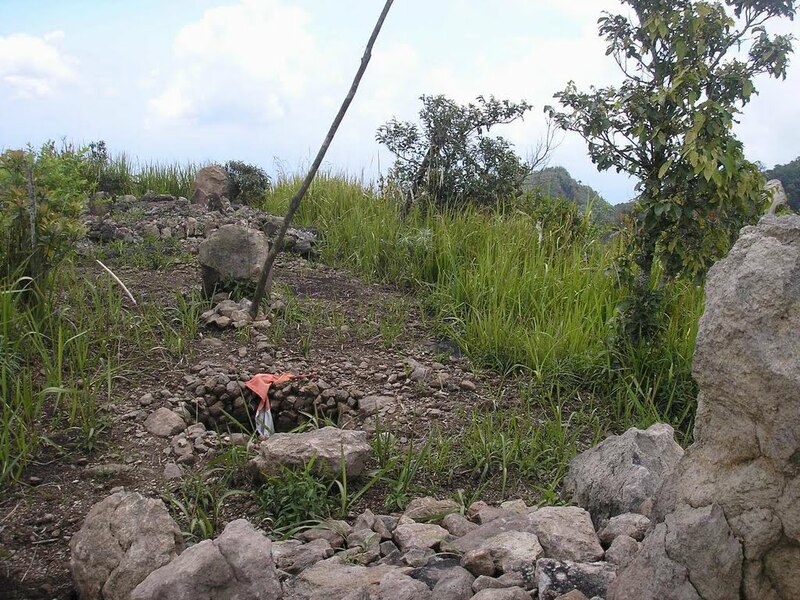 There is also a hot sulphur spring a little way up the hillside and plenty of warungs selling drinks and snacks. It takes about 4 hours to reach the summit and just under 3 hours to descend. There are one or two places where you might be able to find a small amount of somewhat muddy water but it is better to take enough of your own supplies. From the left turn, it takes about 45 minutes to get to the summit and its many painted monuments. 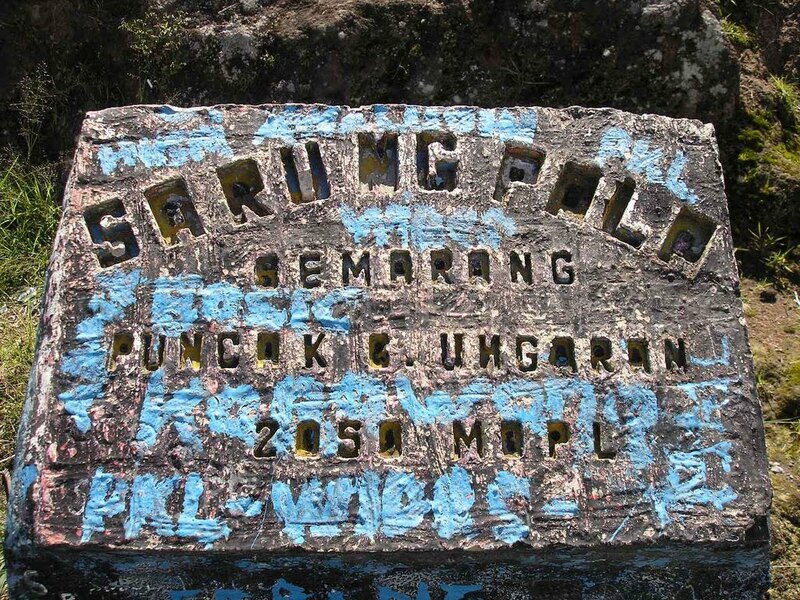 The summit appears to be known locally as ‘Sarung Pala’. 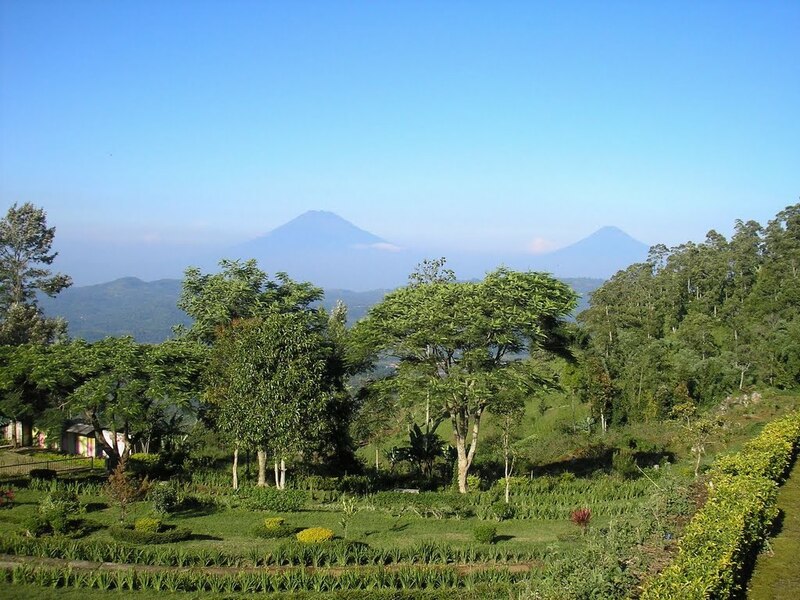 In good weather the panorama is fabulous with most of Central Java’s highest peaks visible. 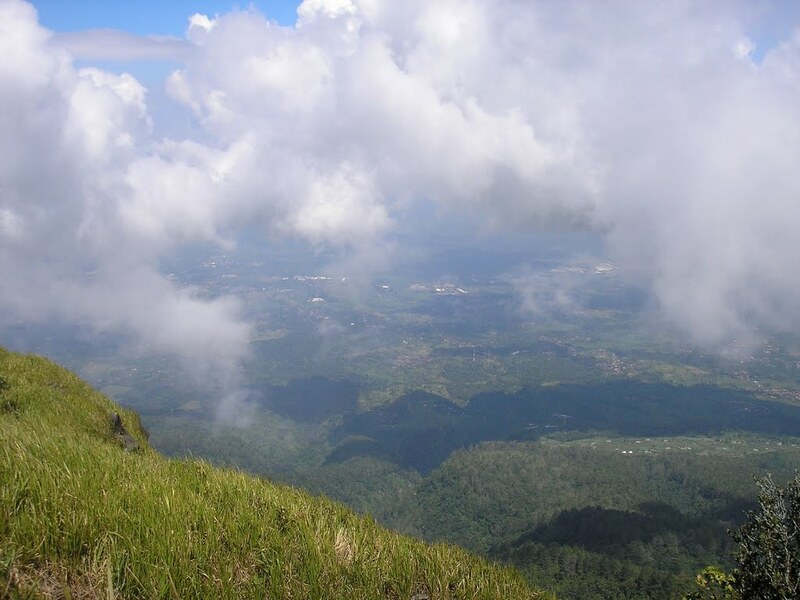 Beyond the summit, you will notice a path leading up from the east – this route is from the village of Promasan near Jimbaran and takes longer to ascend. There are plenty of places just below the summit suitable for camping. 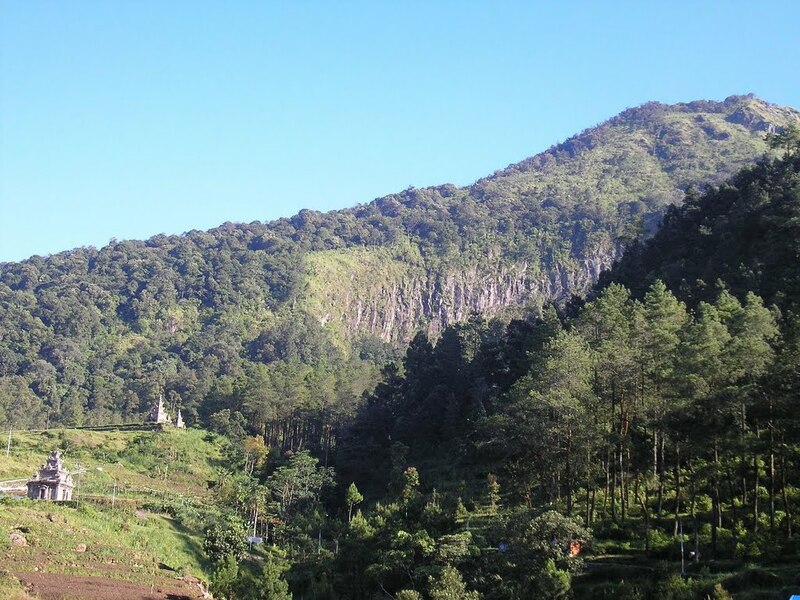 Ungaran is a surprisingly complicated mountain area. 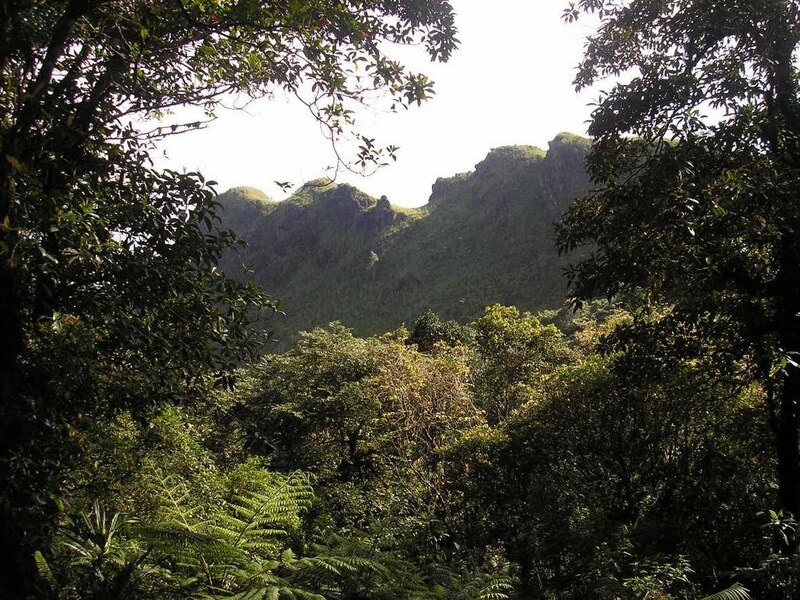 There are three peaks separated by large, steep drops of dense jungle. 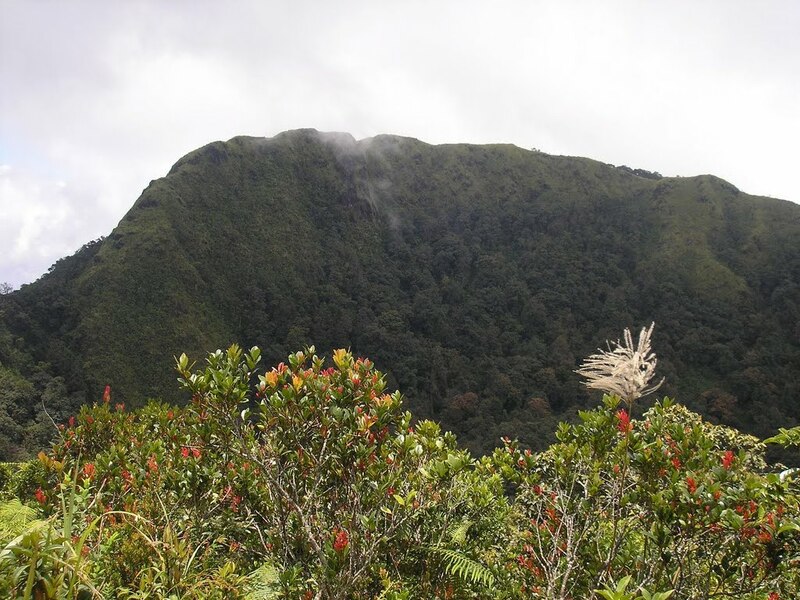 The middle grassy top clearly visible from the true summit is called Botak (Indonesian for ‘bald’) and is only a few metres lower. A third top called Gendol lies even further west is only a few metres lower again. 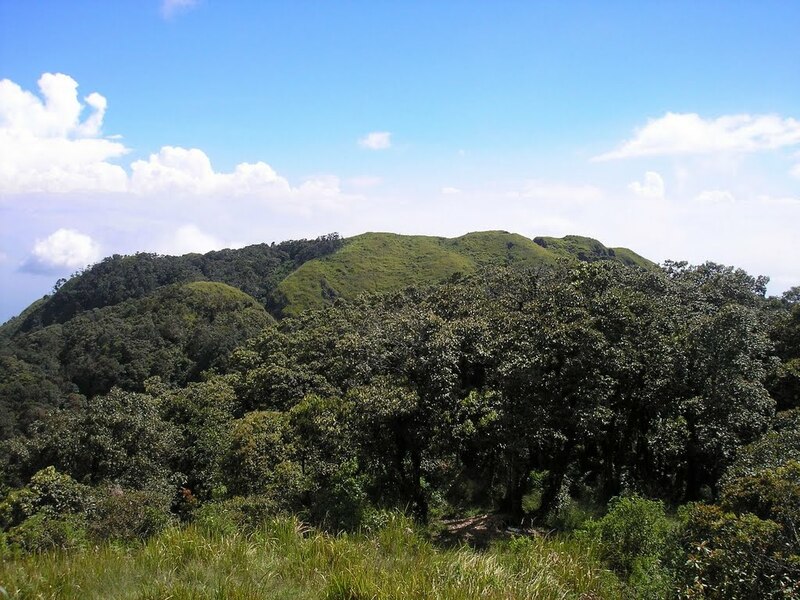 The middle grassy top, Botak, is reasonably easy to reach from the main Ungaran trail (instead of taking a left to the summit, keep going straight on). 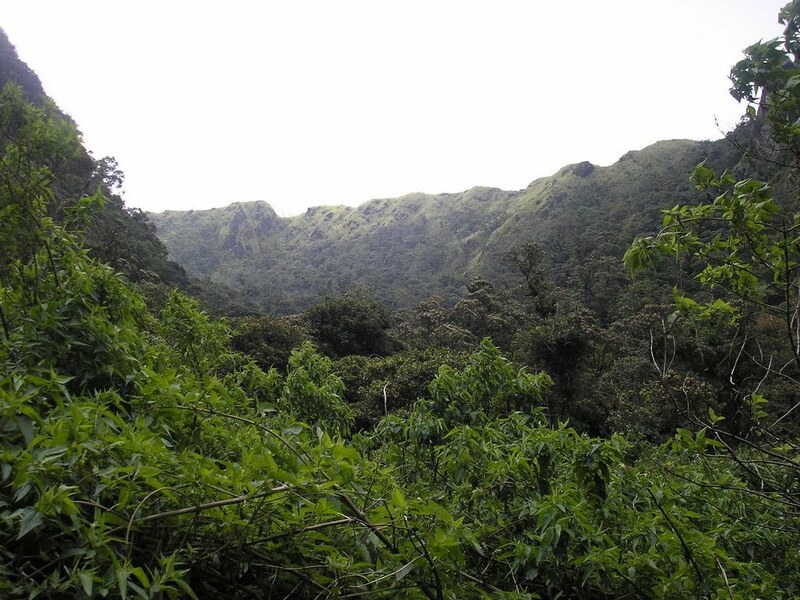 However, Gendol – which has ancient cairns at the top – requires hours and hours of hard work finding a way through the dense forest and trying not to get lost or stuck on a steep ledge and is therefore not recommended. 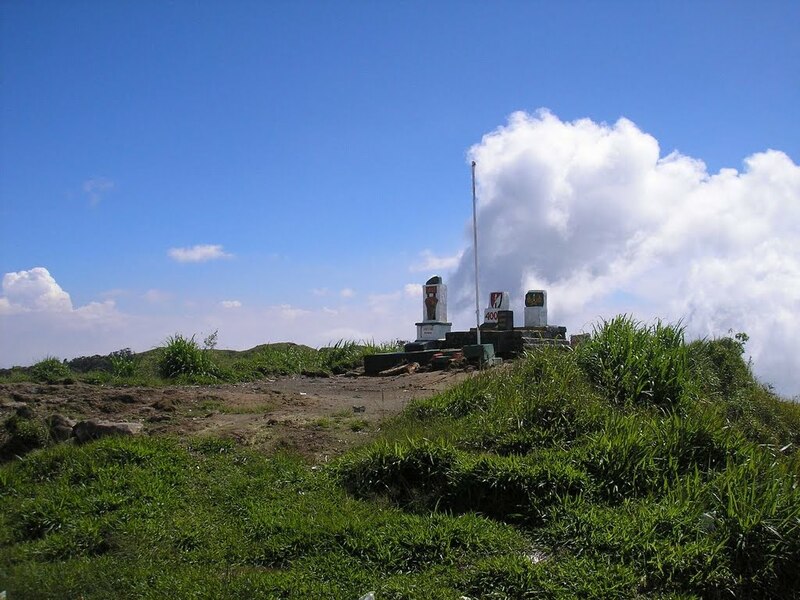 To descend from the summit, simply retrace your steps and follow the many signs for Gedong Songo. The slippery path is at times overgrown with foliage so be careful not to stray from the correct route. 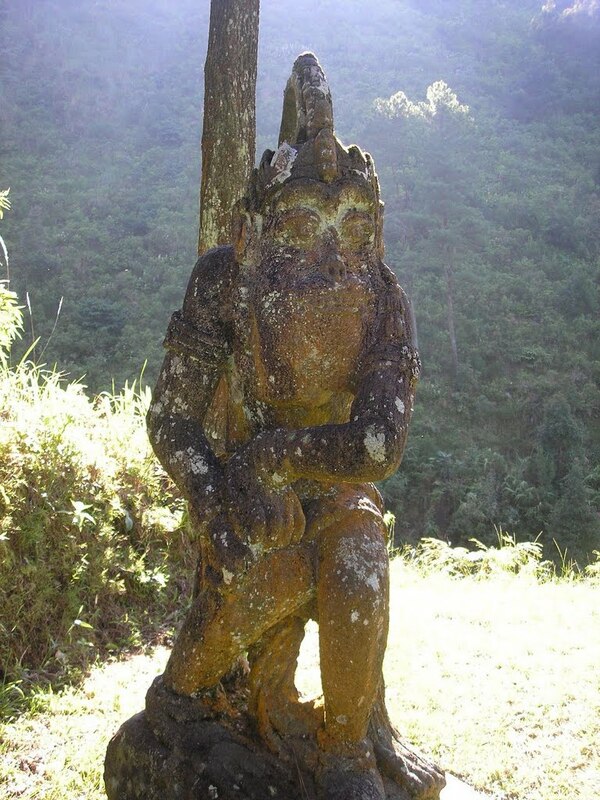 When you finally reach the warungs it is worth having a rest and then exploring the temple complex. The hot sulphur springs are just a ten-minute walk towards the rockface below the visible western peak Gendol. Getting there: Basic public transport between Semarang and Bandungan is slow but readily available. Taxis will take you to Gedong Songo from Semarang but unless you book in advance it may be difficult finding one to take you back. However, ojeks are available. 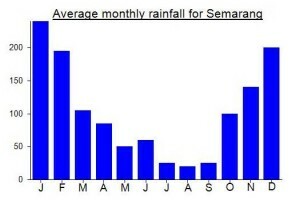 Accommodation: Plenty of places in Bandungan, but a much wider variety in Semarang. Permits: None required but take a photocopy of your passport photo page just incase – you will have to buy a ticket for entry to Gedong Songo, only a few thousand rupiah. Water sources: Very limited and unreliable – take sufficient supplies with you. Jawa Tengah Tinggi Sedang. permalink. Just did a great and straight forward hike up Ungaran from Base Camp Mawar. My original plan was to go via Gendong Songo but I was informed by my guide that the trail from Gendong Songo was either closed or going through maintenance. 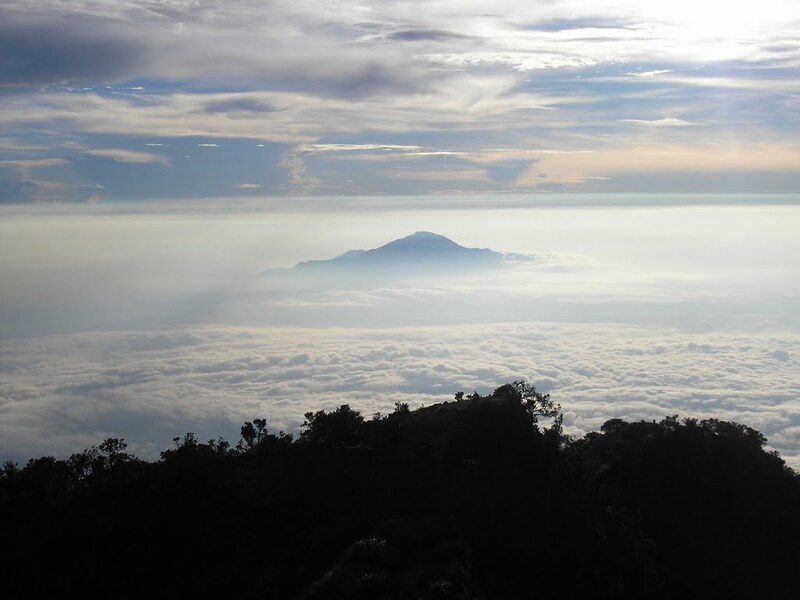 From Mawar, I went at moderate pace and we were up on the summit in less than 2.5 hours. 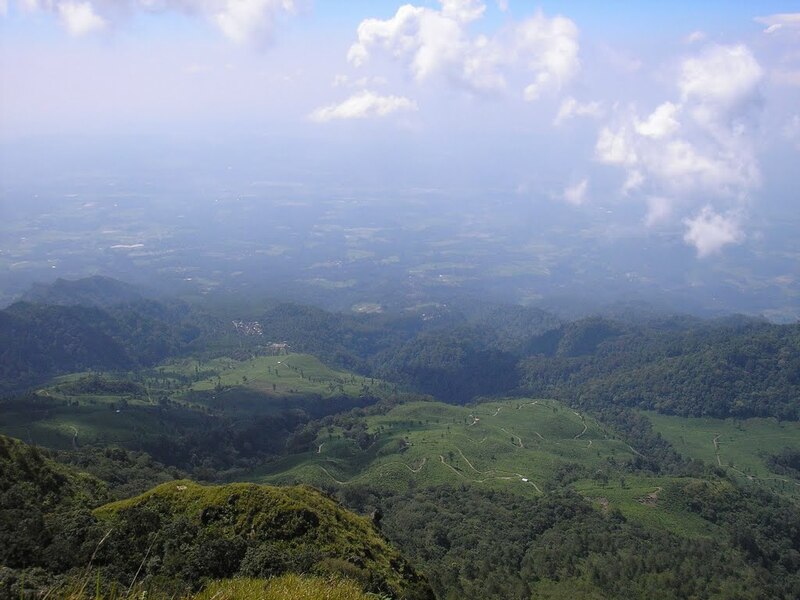 The first part is an easy and mostly flat walk through farmland and forest, before emerging into tea and coffee plantations. Finally you reach the base of the vertical face, where at a moderate hiking pace you can be on the summit in around 1.5 hours. 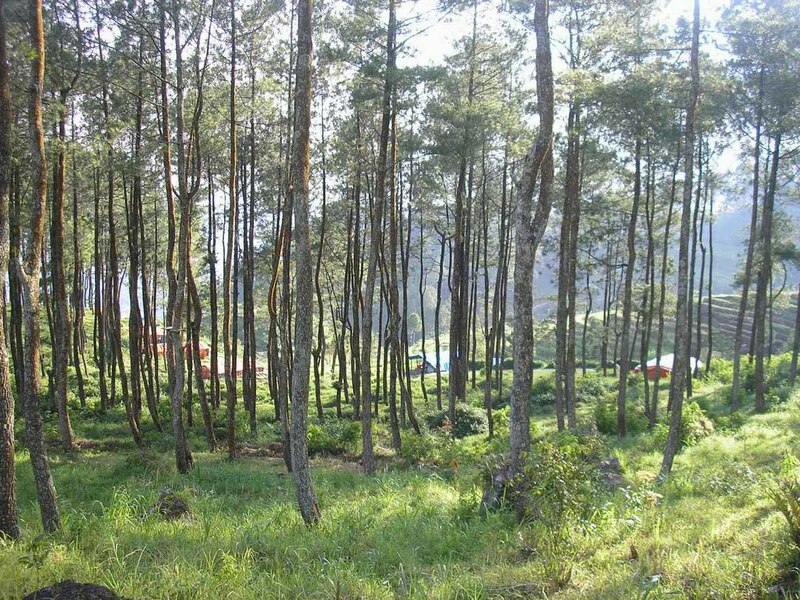 Very leisurely if you are used to other mountain hiking in Java/Indonesia. 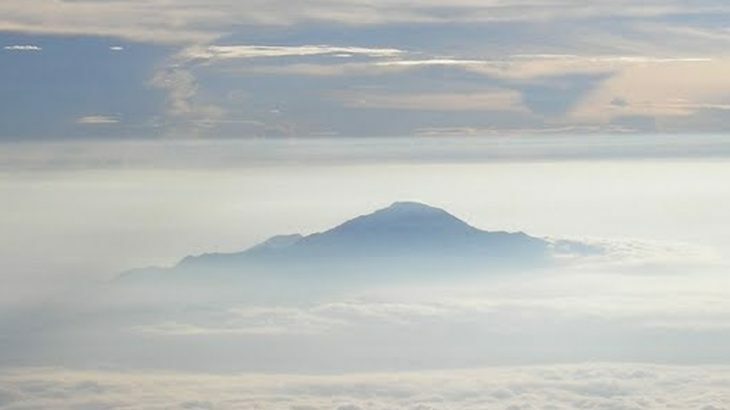 Summit is large and flat and affords great views of other Central Java mountains including Sumbing, Sindoro and Merbabu. Descend the same way but also do a short (30 min) detour via the tea plantations to Goa Jepang (Japanese caves) which are a worthy diversion for 10-15 minutes. After that go back up through the tea plantations and descend to Base Camp Mawar. All in all you can go up and down Ungaran with a stop at Goa Jepang in about 5 hours. 2.5 hours up to the summit, then an hour going down to the Goa Jepang and exploring, then an hour and a half back to base camp. I started at 9am and was back by 230 or 3pm, a very easy and enjoyable day out. 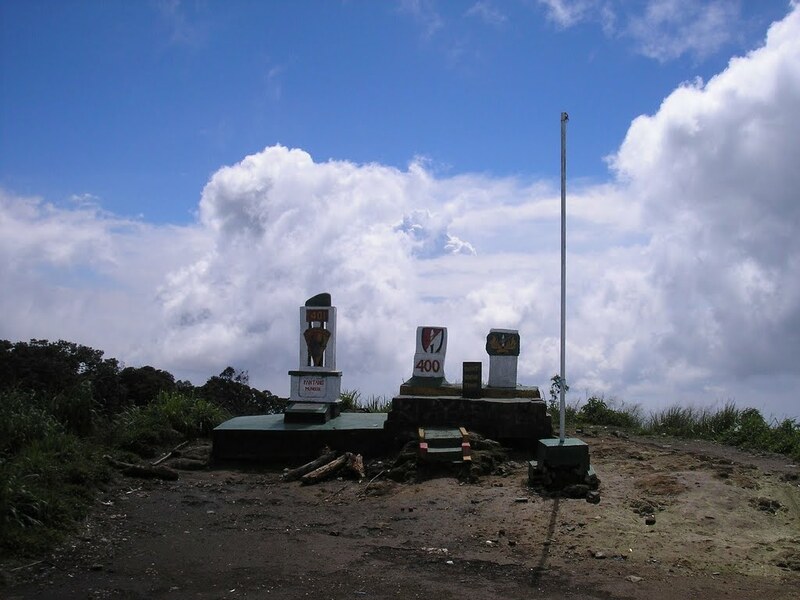 Make sure to visit Gedong Songo by car after you finish at Base Camp Mawar. Very interesting temples. One option that is apparently common is a traverse of Ungaran, presumably from Gedong Songo (assuming the trail is open) to Mawar. That would be a great option, though I’m not sure whether I would prefer starting at the temple complex or ending there. I plan to go this weekend with my boyfriend. Starting in Bandungan. Do you really recommend a guide? How much did you pay? Thank you Paul. I am going there the day after tomorrow. Your info is very helpful. There is a string of warungs between Gedung I and Gedung II. 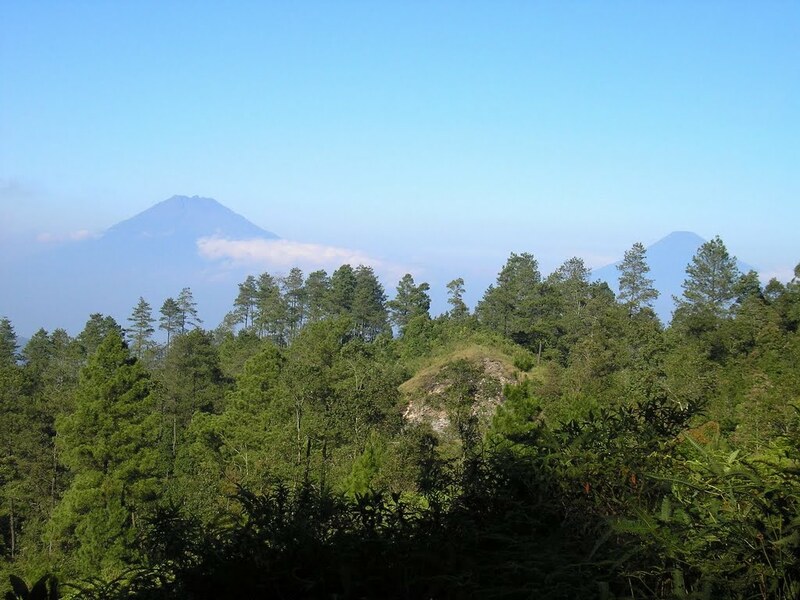 The trail you want starts after the last warung; instead of following the cobbled track round to the left, keep going straight up between the forest to the left and vegetable fields to the right. Bear to the forest side and ascend steeply for 15 minutes or so before the slope eases somewhat and the trail bends gradually to the right. After about 2 hours heading northeast, you reach a flattish section at 1720m with a couple of campsites; take the right fork at the large campsite. From here, steep ascents alternate with long, flatter sections as the trail wends its way tortuously around behind Botak summit. 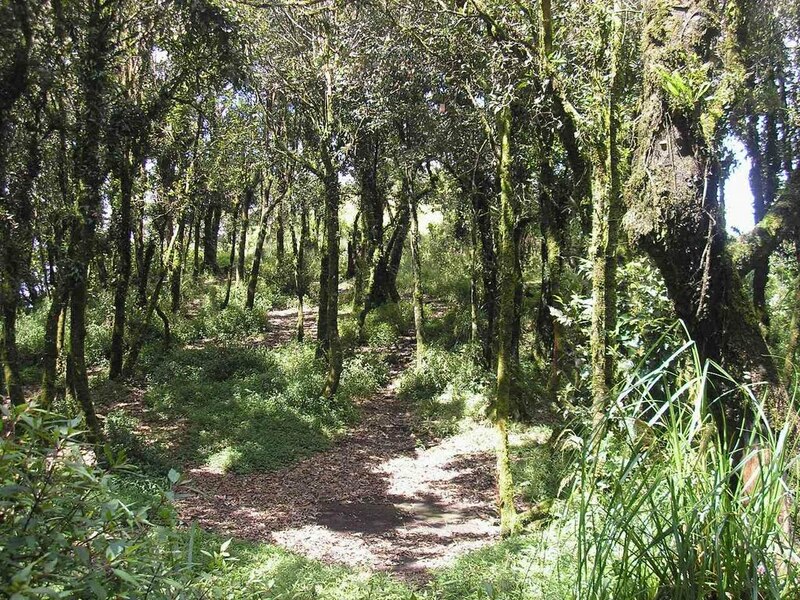 Although some parts of the trail are overgrown, this is actually a pleasantly cool hike through the high forest, the only drawback being the difficulty of knowing how near or far away the summit actually is. 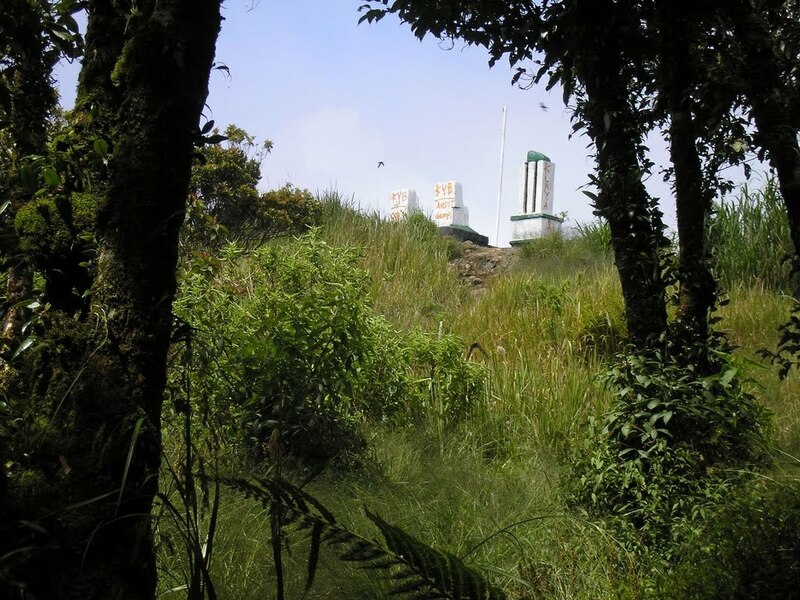 After about 3h30 you should reach the junction where you can head to Botak summit to the right or Ungaran summit to the left; you cannot miss this junction as there are about 10 signs nailed to trees instead of the usual one or two. 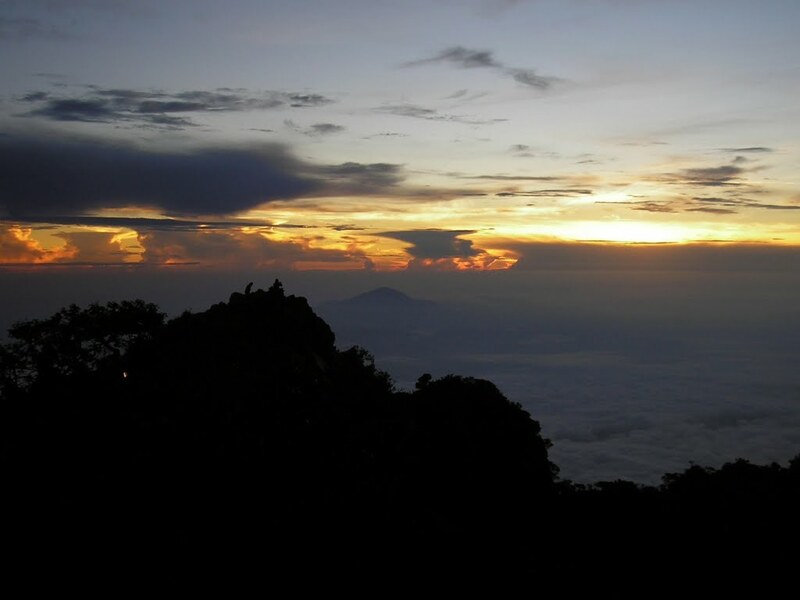 Ungaran summit is about 20 minutes further on. 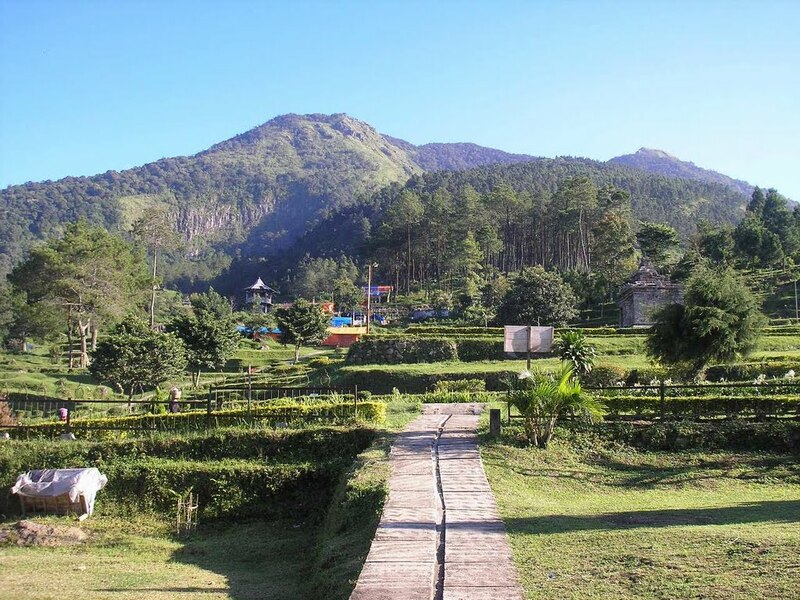 Allow about 3 hours to descend and enjoy a long soak in the hot spring pool at Gedung Songo. This hike is not particularly spectacular, but it would be nice to feel the trail was more used, given how close it is to Semarang. I made a very big mistake on Ungaran. So beware! 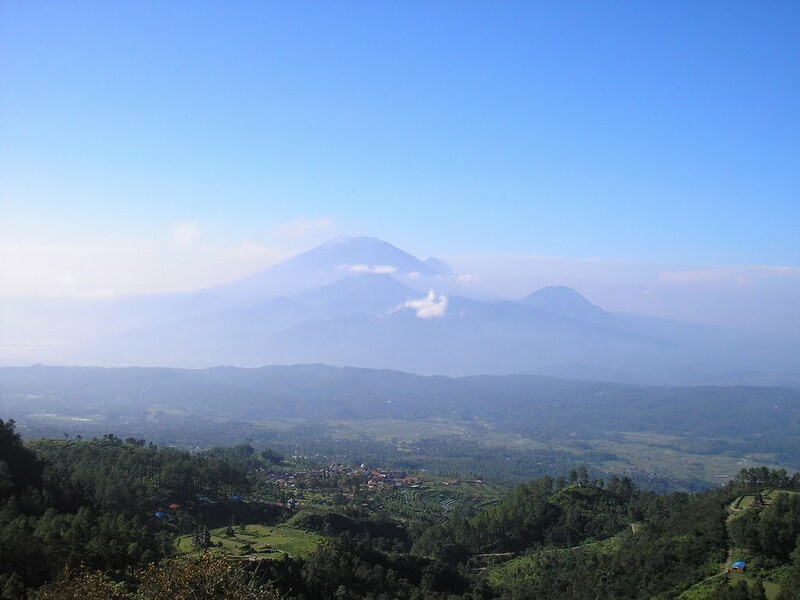 From Gedong Songo, the most visible peak is the western peak (Gendol) which lies above a steep rockface. I made the assumption that the peak was the summit, or at least near the summit. 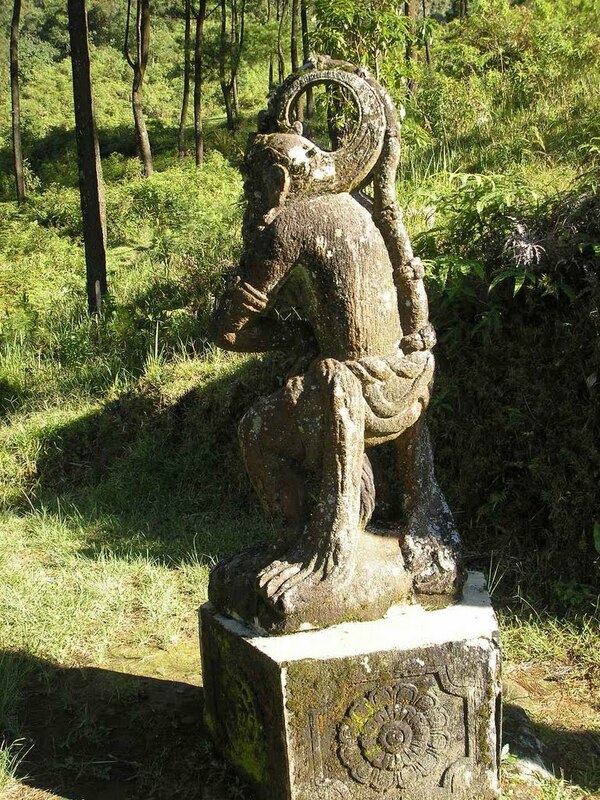 So I followed a trail past a little hut above the sulphur spring, past a monkey statue and a spring and round to the left (west) of the rockface. From here, a few vague paths lead up the side of the mountain. Note the word vague! I followed one which took me a couple of hundred metres up the side of the mountain before vanishing. I should, at this point, have descended and found the correct path from the warungs but instead I decided to jungle-bash my way up to the top of Gendol. This took two incredibly painful and exhausting hours. I have never seen so many spiky plants and my hands are the evidence of that! Finally, after two horrific hours for which I have only myself to blame, at the top of the rarely-visited western peak I found ancient cairns. 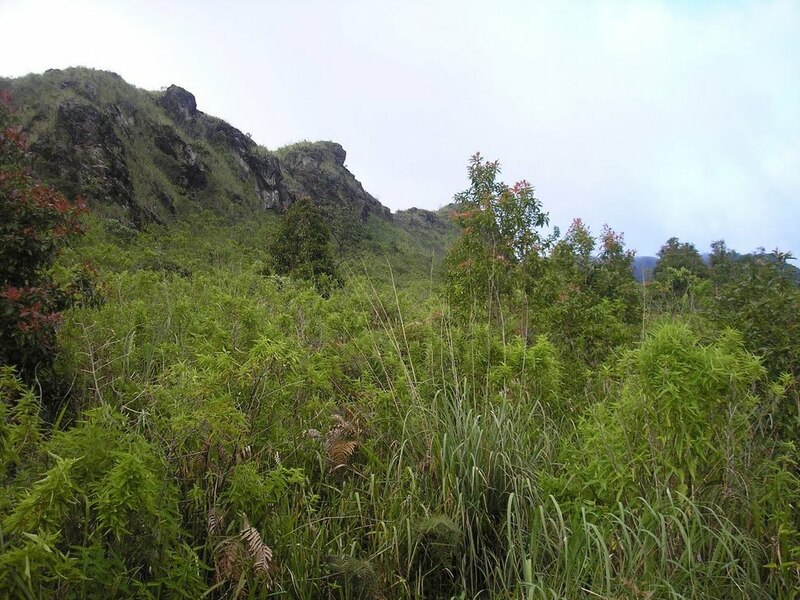 I also looked eastwards to see a higher grassy peak (Botak) which lay beyond a huge steep drop and dense jungle. Somehow I found the energy to carry on and hacked my way down to the col. Fortunately I eventually found a good trail running between the peaks which was the one I should have been on in the first place. 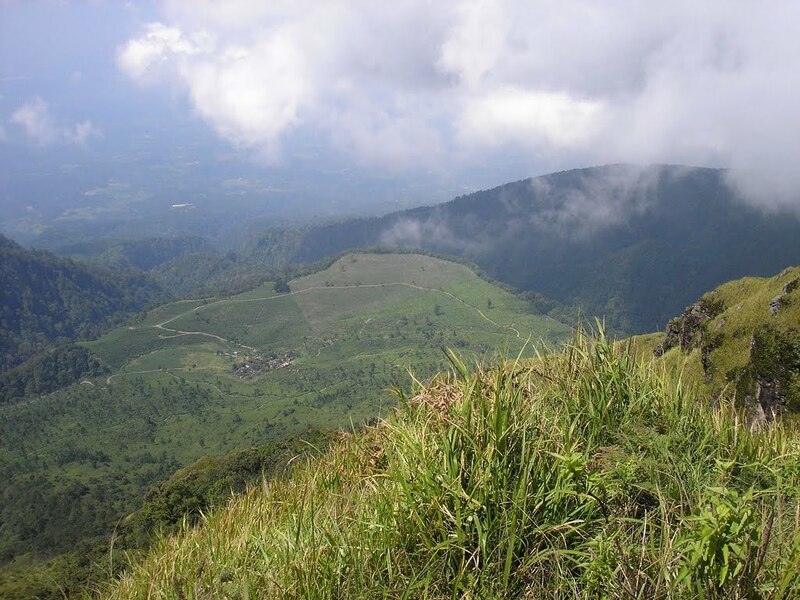 It led round the base of the grassy peak Botak and to a further third peak – the true Ungaran summit – lying further east. In total it took me 7 hours to get to the true top instead of 4! On the plus side, the extra time foolishly wasted in dense spiny foliage allowed me to enjoy the combination of dangdut karaoke from the many bars in Bandungan and the mega-amplified call to prayer from nearby mosques. Quite a mixture. Never underestimate these smaller peaks, turn back if you lose the trail and always remember to take a guide! There are some remarkably steep areas on this mountain. Maybe it’s time for me to buy a GPS.